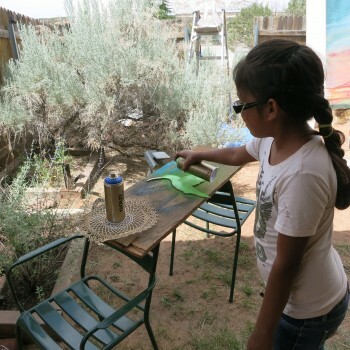 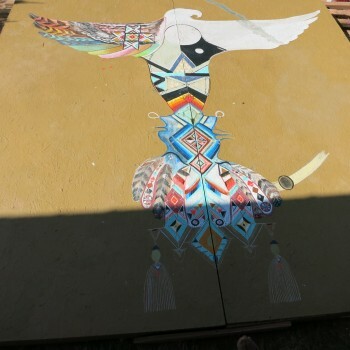 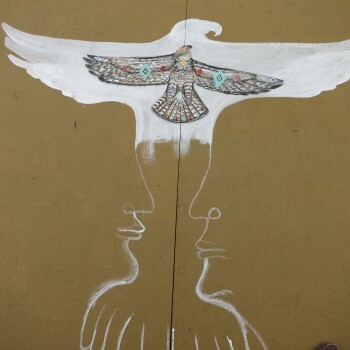 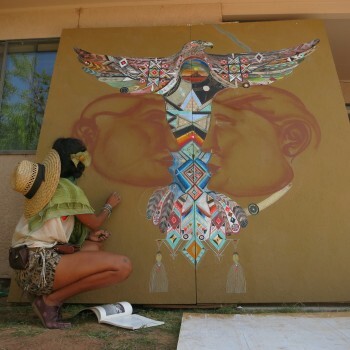 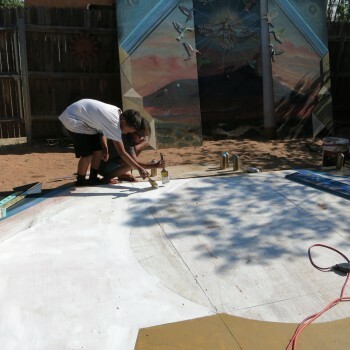 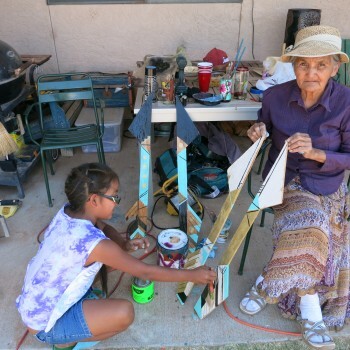 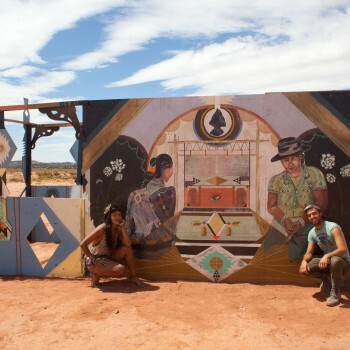 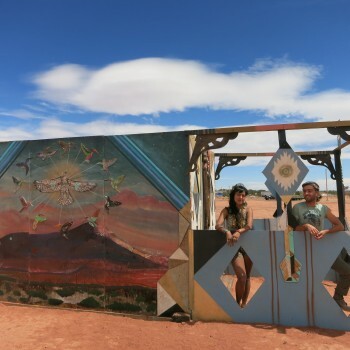 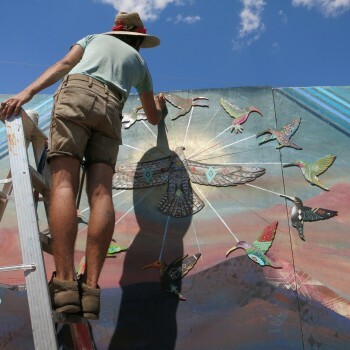 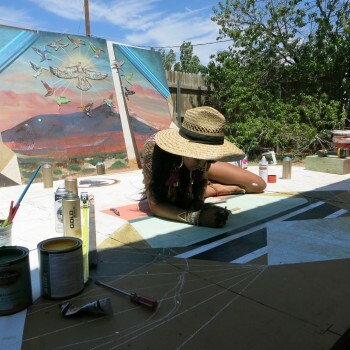 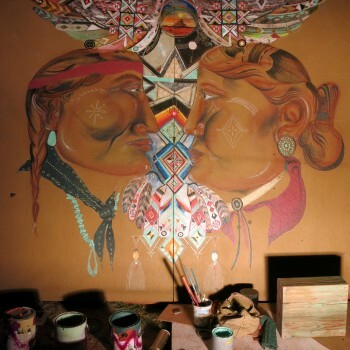 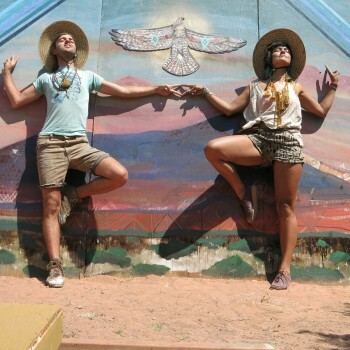 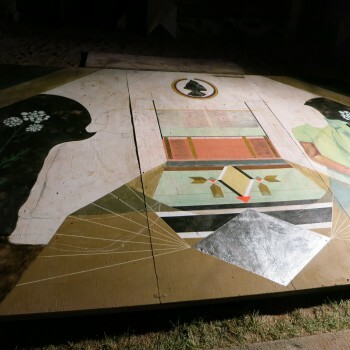 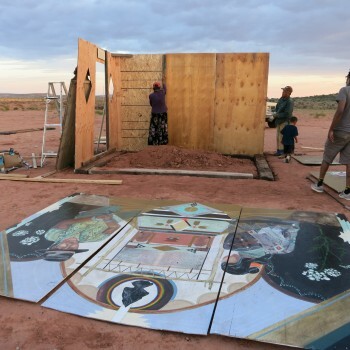 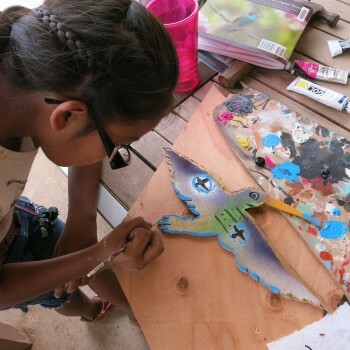 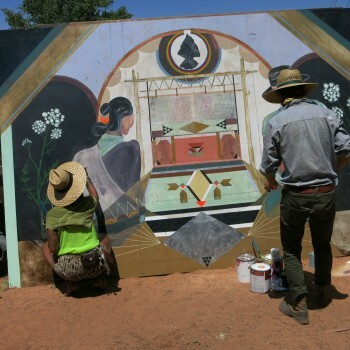 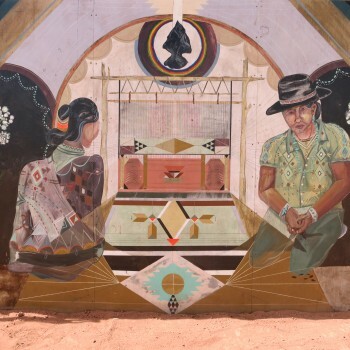 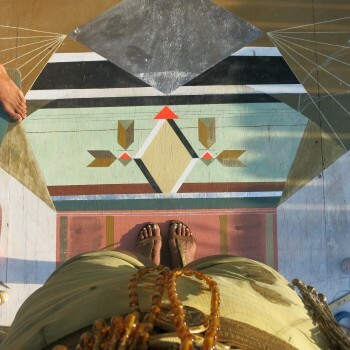 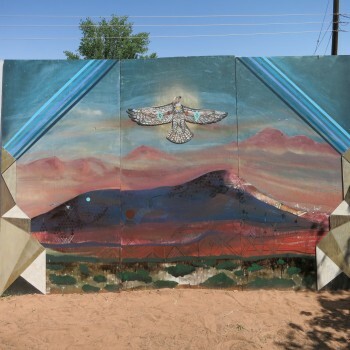 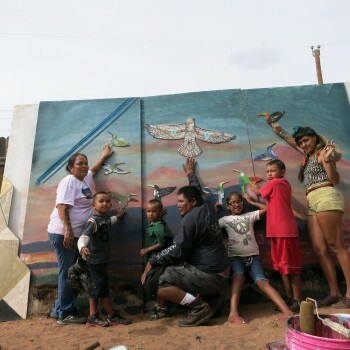 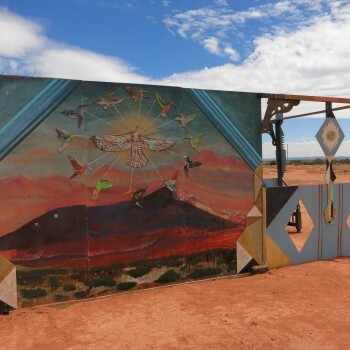 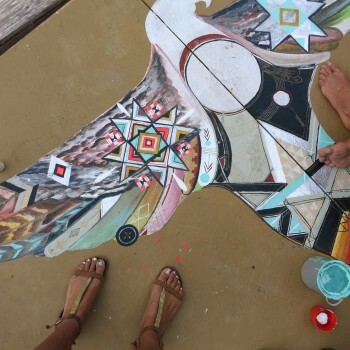 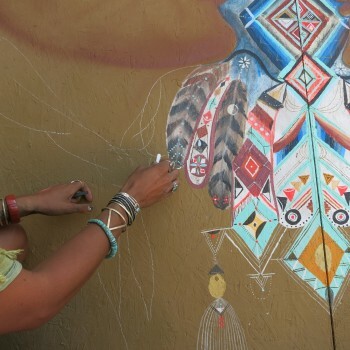 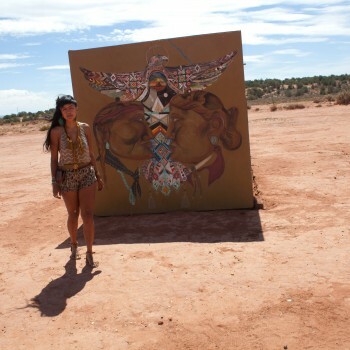 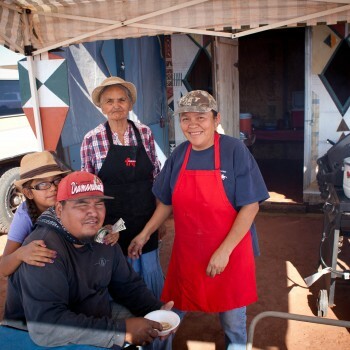 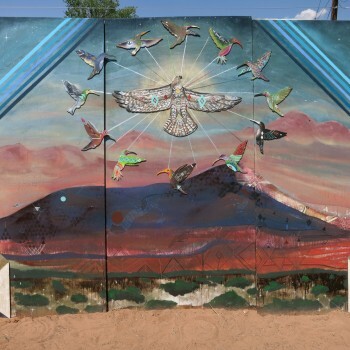 The Painted Desert Project is a public art initiative which connects artists with communities through mural opportunities on the Navajo Nation. 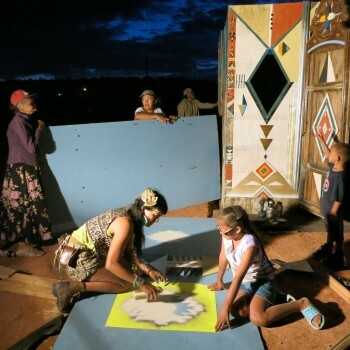 The Painted Desert Project is the brainchild of Chip Thomas, a doctor, photographer, and long-time reservation resident. 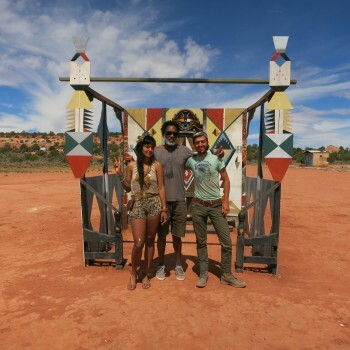 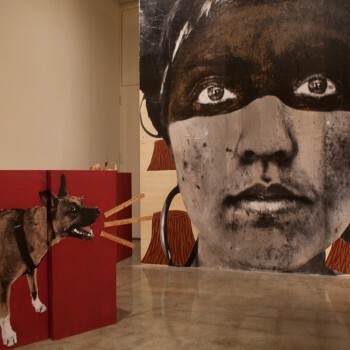 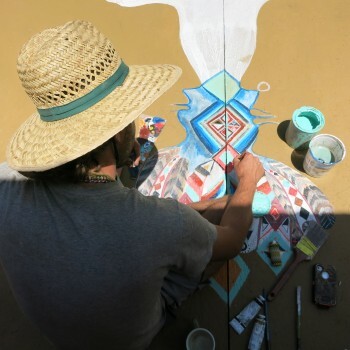 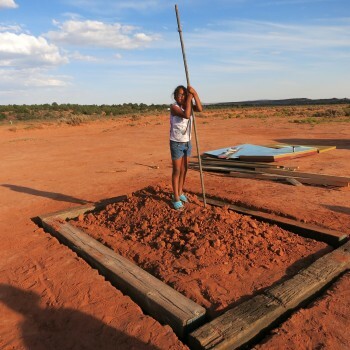 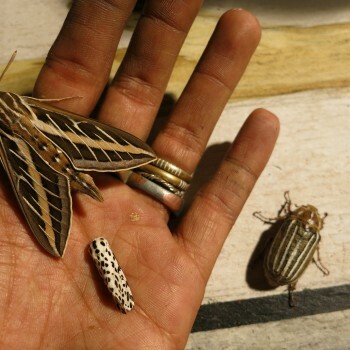 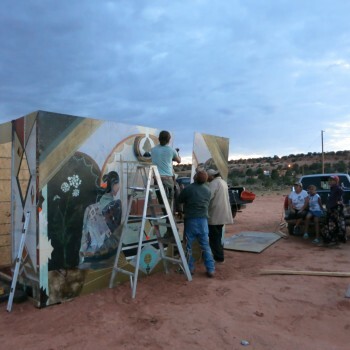 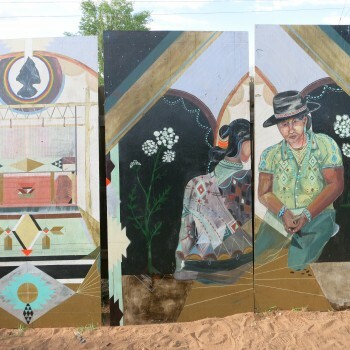 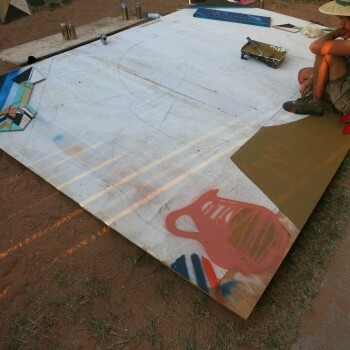 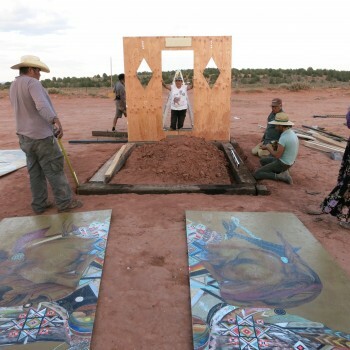 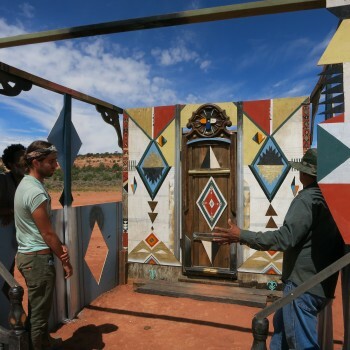 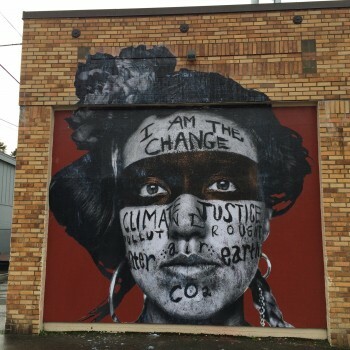 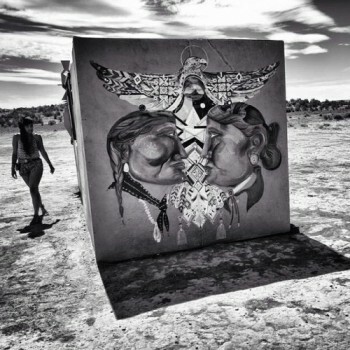 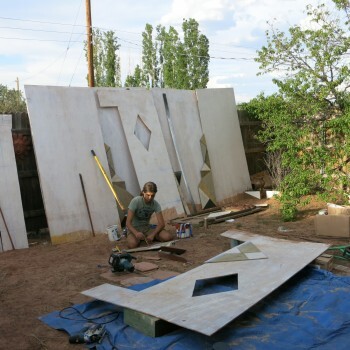 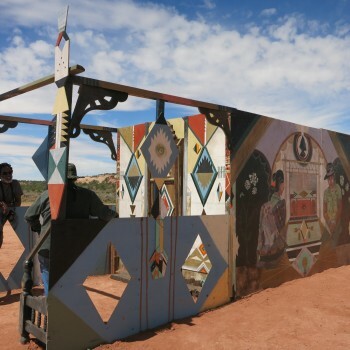 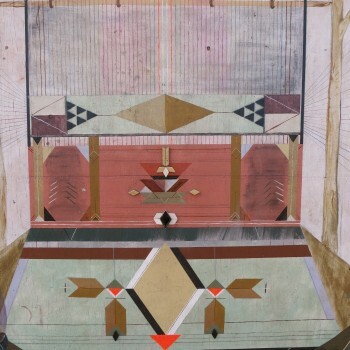 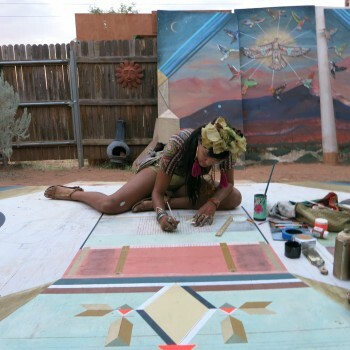 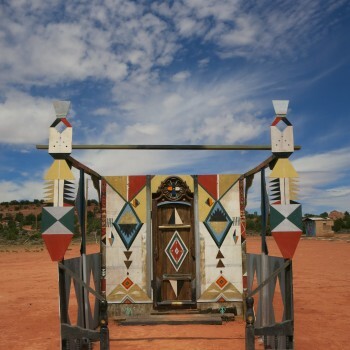 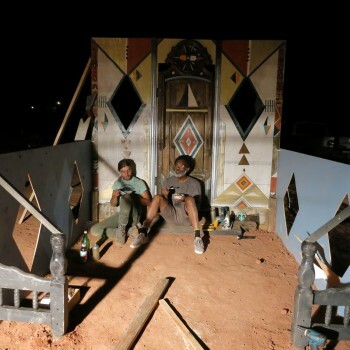 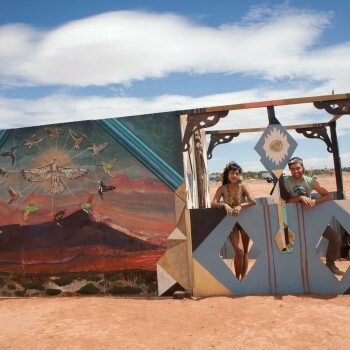 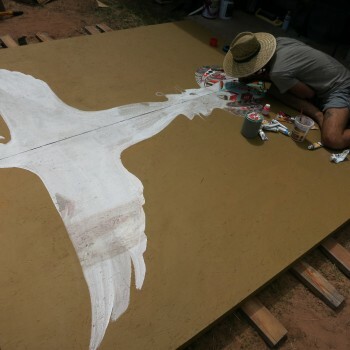 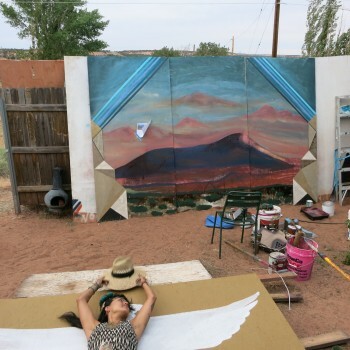 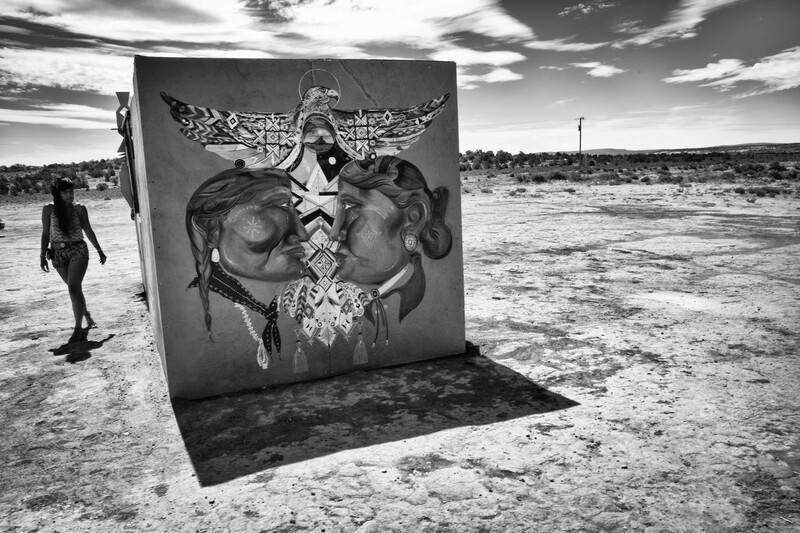 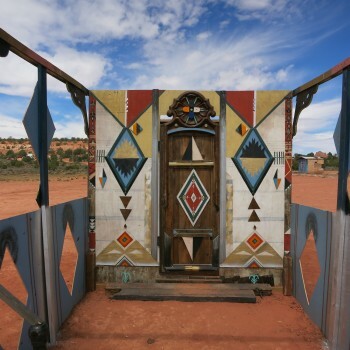 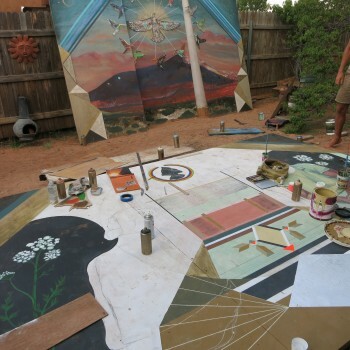 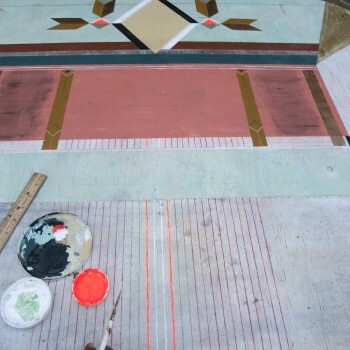 The Painted Desert Project began in 2012 when Chip Thomas invited several world-renowned street artists to the Navajo Nation for short-term residencies, during which the artists immersed themselves in the local communities. 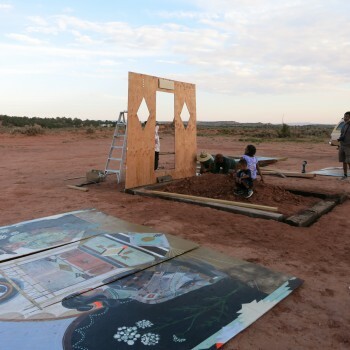 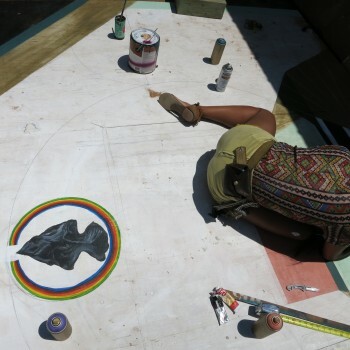 By requiring the artists to embed themselves within the local communities and engage in extensive research, it is hoped the artists will produce work that has relevance to the communities in which the art will remain after the artists depart. 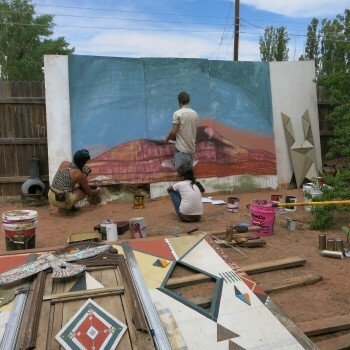 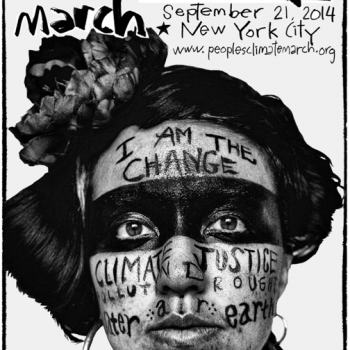 This embedded short-term residency approach is intended to obviate the possibility of cultural imperialism, a charge often leveled at large street art festivals. 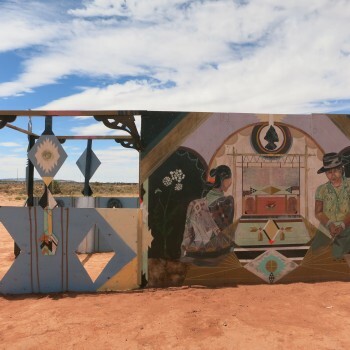 The art, primarily murals and enlarged photographs, grace water tanks, buildings, and roadside stands adjacent to the interstate highways which lace through northwestern Arizona. 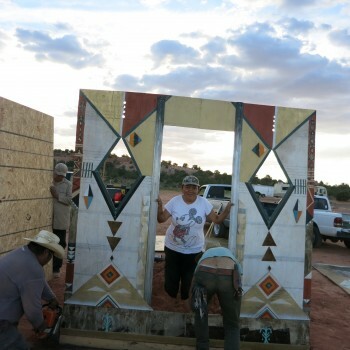 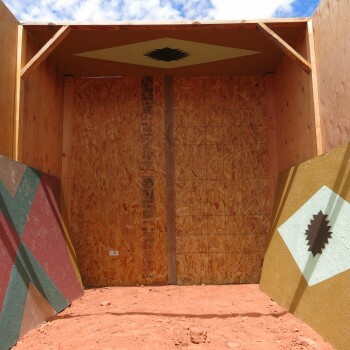 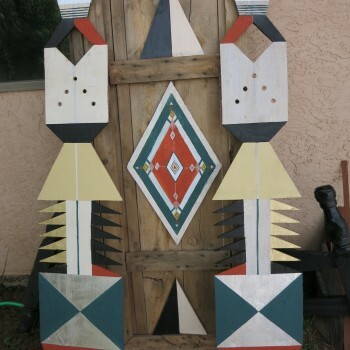 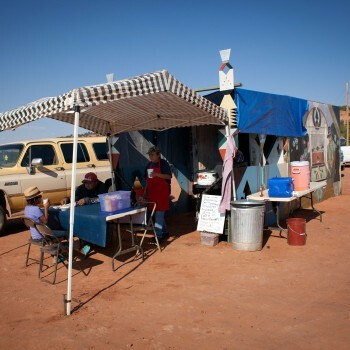 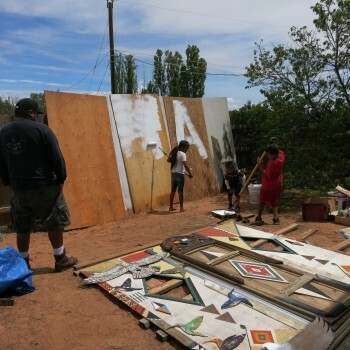 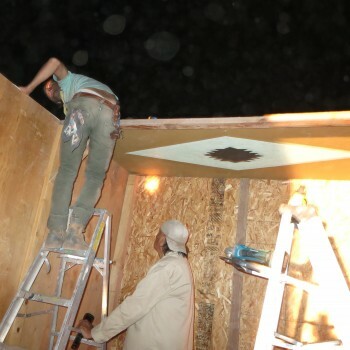 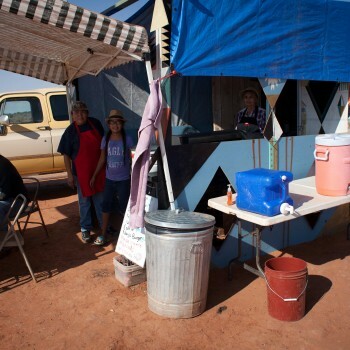 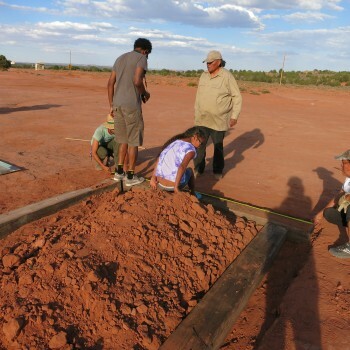 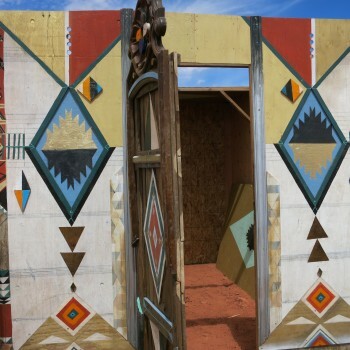 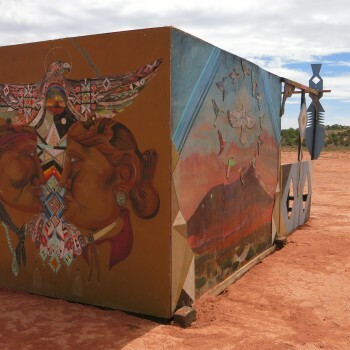 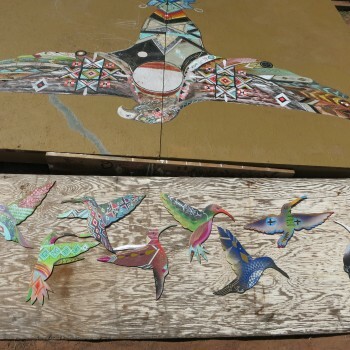 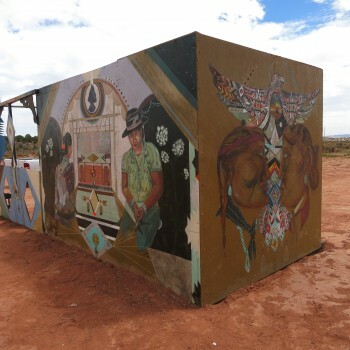 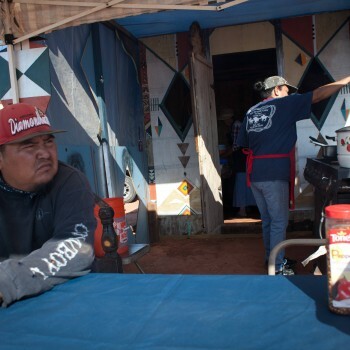 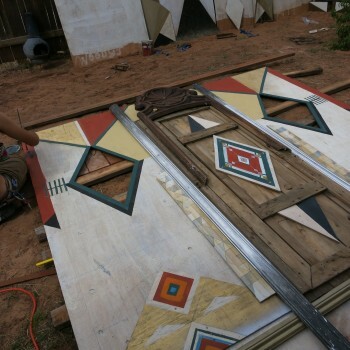 The installation of art pieces has encouraged the revival of previously abandoned buildings and roadside stands, thereby energizing the community and elevating economic prospects on the Navajo Nation. 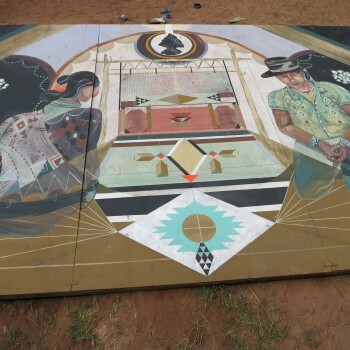 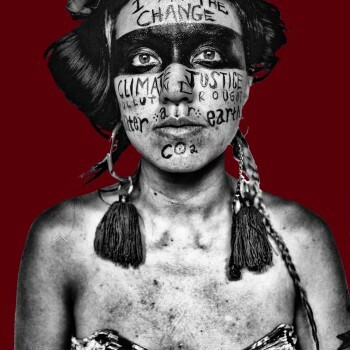 Artists who have been involved with the Painted Desert Project include: Tom Greyeyes, Xiana Clitso, Troy Lovegates, Thomas “Breeze” Marcus, Monica Canilao, Overunder, Doodles, Labrona, Gaia, Roa, JB Snyder, Pixel Pancho, 2501, Ever, Alexis Diaz, Jaz, Hyuro, LNY, Nanook, Mazatl and Stinkfish.